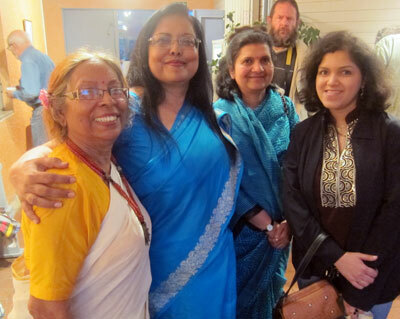 On Tuesday 7 May 2013, the Lund based Association for Indo-Swedish Cultural Exchange (AISCE) organised a cultural programme in honour of the Indian/Bengali Nobel Laureate Rabindranath Tagore, who was the first non-European writer to be awarded the Nobel Prize in Literature in 1913. Venue for the May 7th concert: Sagohuset, Revingegatan, Lund. 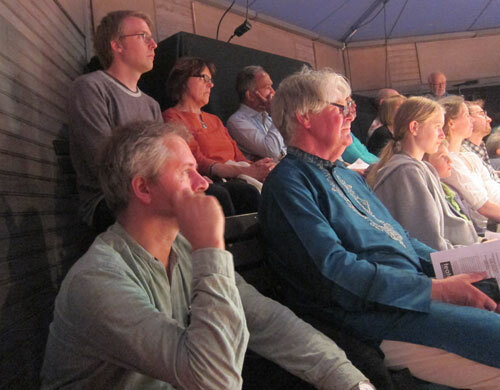 The programme featured the Indian Choir of Lund, singing Tagore’s songs, and the Saregama chldren’s choir, both being conducted by Bubu Munshi Eklund. 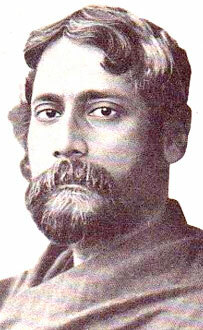 It also contained a learned academic presentation by Dr. Heinz Werner Wessler, Department of Linguistics and Philology, Uppsala University, on Tagore and his literature, why he was awarded the Nobel Prize, and how he had to wait till 1921 before coming to Sweden for the first time to receive the award. Listen to his presentation, in a YouTube recording. 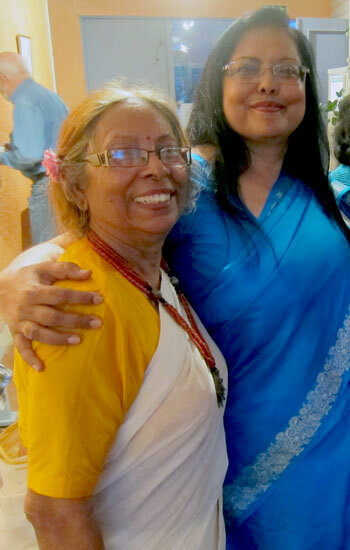 Indian Ambassador to Sweden, Mrs. Banashri Bose Harrisson (photo to the right), was the guest of honour, and she also held an inspired introductory speech on Tagore and his relevance today. Listen to her presentation in a Youtube recording. 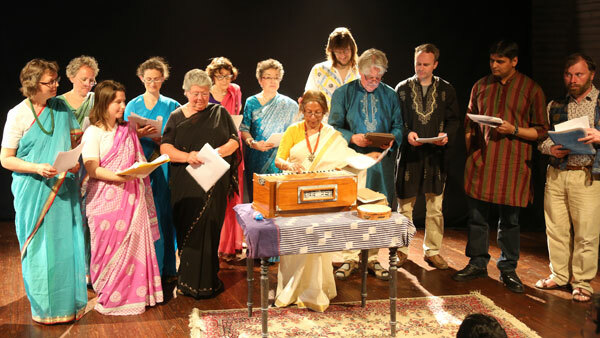 The Indian Choir, all members dressed in colourful saris and panjabis, performed a number of Rabindranath’s compositions from various stages of his life, such as Aji Boshonto Jagroto Dare from 1910; Mor Beena from 1919; Pagla Hawar Badol Dine from 1939; and He Nuton from 1941. 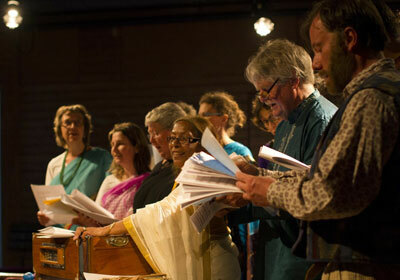 They also sang a few spiritual bhajans, including Mahatma Gandhi’s favourite song Raghupati Raghava Raja Ram. The children’s choir gave an excellent performance of the popular Tagore song Phule Phule from 1882, sung in original Bengali language. by all Swedish kids. 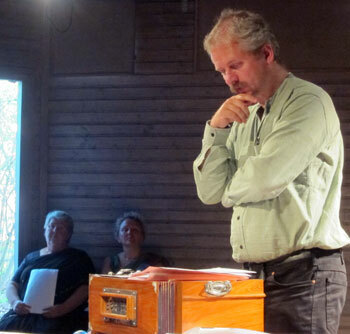 The Association for Indo-Swedish Cultural Exchange is a membership based cultural organisation exisiting since the early 1990s, chaired by SASNET deputy director Lars Eklund. 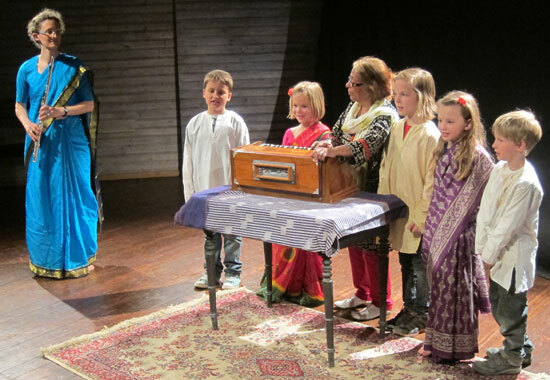 The association organises concerts, dance performances and other cultural activities in southern Sweden, and since last year its Indian Choir has held several appreciated concerts in Lund. More information about AISCE. Listen to the Saregama Children’s Choir.